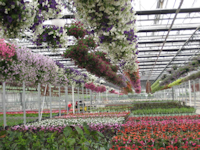 Product Line – Willoway Nurseries, Inc.
​We have over 2000 varieties of plant material. We offer plants that are tried & true that provide top garden performance as well as the cutting-edge plants in our branded plant programs. Our number one goal is to provide the very best for garden success! ​Premium Field Selections: This program offers specimen sized plant material for an instant effect in your landscape designs. We take great care in selecting new and exciting as well as tried and true varieties that are hardy to our shipping regions. The team works to keep the crops looking great, offering a consistent supply chain for your project needs. 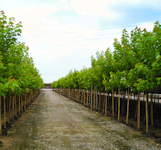 ​Container Tree Selections: Our container tree program is designed for all sized projects. It gives you the ability to plant all season long with plants ranging from garden center friendly 7 and 15 gallon to landscape ready 25 and 45 gallon specimens. These plants offer branched trees that are well rooted and will take off and grow from the time they are planted. ​Seasonal Color: This category consists of our annual, herb, vegetable, succulent and tropical color selections. These plants are the colors of the seasons that give the punch of color, interest and drama to your home and garden. We offer many sizes for installation designs from large landscape projects to small containers for that special area of your home and garden. 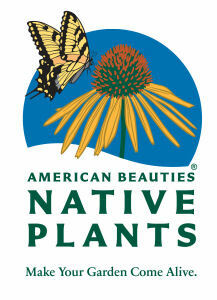 ​AMERICAN BEAUTIES NATIVE PLANTS® is a ground breaking native plant program that offers proven solutions for garden centers, landscapers and home gardeners. Native plant experts have teamed up with wildlife experts to bring you selections that will enhance our environment and bring life to your garden. The easiest way to provide food for wildlife is to plant native plants that will produce their natural diet of foliage, nectar, pollen, berries, seeds and nuts. Because the plants are native to our regions, they require less water and maintenance and fewer disease problems. 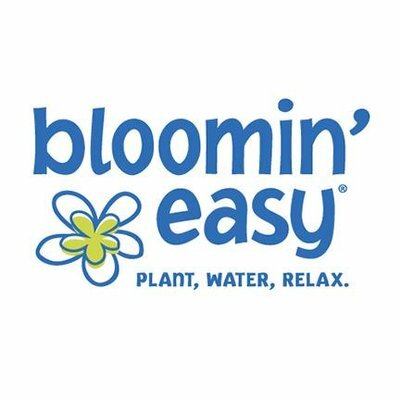 ​Bloomin' Easy® is a response to younger homeowners who appreciate the value of a beautifully landscaped yard, but think tackling such a project is too difficult, time consuming and beyond their expertise. We select plants that offer exceptional beauty and color—plants that are more resilient and lower maintenance, and which enable success for your outdoor space. 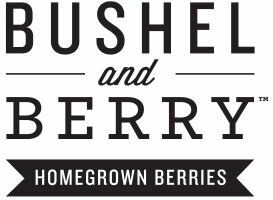 ​The Bushel and Berry™ collection consists of compact, self-pollinating, ornamental berry plants for the home gardener! Bushel and Berry™ plants are a cinch to grow and will dazzle the eyes as well as the taste buds. These varieties are like nothing seen before. With exquisite ornamental qualities and amazing fruit, these are berry plants that belong front and center in decorative patio containers and in the landscape. 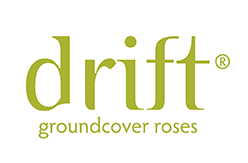 ​Drift® Roses are a cross between full-size groundcover roses and miniature roses. From the former they kept toughness, disease resistance and winter hardiness. From the miniatures, they inherited their well-managed size and repeat-blooming nature. The low, manageable habit of Drift® Roses makes them perfect for gardens small to large, for planters, and for mass commercial plantings. They brighten up borders, fill in empty spaces, meander around established plants, and can control erosion on hillsides and slopes. ​The Endless Summer® collection consists of beautiful re-blooming hydrangeas. The Original, the first of the hydrangea varieties in the collection, revolutionized the way gardeners were able to incorporate hydrangeas in their landscapes. Breeders continue to add new varieties offering exciting color for the home and garden. These plants are hardy, easy to care for, and offer large, beautiful summer color. 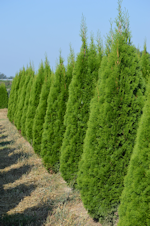 ​First Editions® is a premium collection of shrubs, trees, evergreens, vines and perennials. 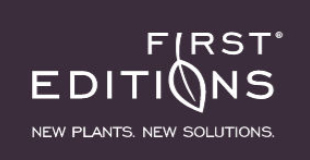 When you choose First Editions® you get first-in-class genetics, regional assortments, an exciting stream of tested new plants, attractive packaging and national marketing. 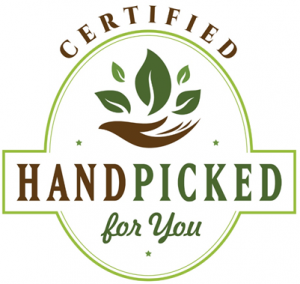 ​Handpicked for You® is a certification by a collaboration of plant breeders, growers and independent garden center retailers. Together we’re working to identify and introduce the best tested and most trusted plants available to you for garden success. ​The Knock Out® Family of Roses revolutionized the way we think of roses. These roses are easy to grow and do not require special care and offer great disease resistance. They have stunning flower power with a generous bloom cycle that will begin in spring and continue until the first hard frost. The Knock Out® Family of Roses are winter hardy to USDA Zone 5. ​Our own program Plants that Work® uses our relationships with breeders from around the globe to provide plant varieties that are unique, cutting edge and provide solutions for every area of the home and garden. Plants will set garden centers and landscapers apart from the competition with color, easy care and better performance! 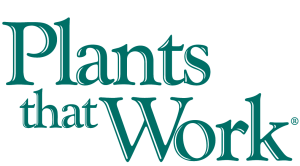 Plants that Work® offers a product assortment with selections of top quality plants including annuals, perennials, shrubs, succulents and tropical plants. Regardless of the size of the project from large scale landscapes to small spaces, we have the plants you need for a successful solution for every area of the home and garden for texture, foliage and seasonal interest. 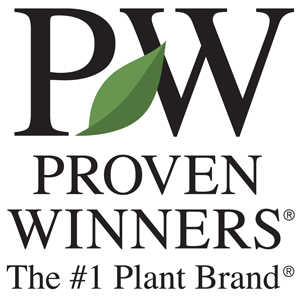 ​Proven Winners® searches the world to bring you vibrant flowering annuals, perennials and shrubs that deliver beautiful garden performance. Working with top breeders across the globe, the collection offers new and exciting plants that are easy to grow, hardy and offer color in flower and foliage. ​Raymond Evison Clematis® are the result of 50 dedicated years searching, breeding and developing his award winning, flowering clematis for today​'s homes and gardens. His stringent selection process produces varieties with interesting new flowers that have the ability to flower up the entire stem over a longer period of time.